The final results are in. 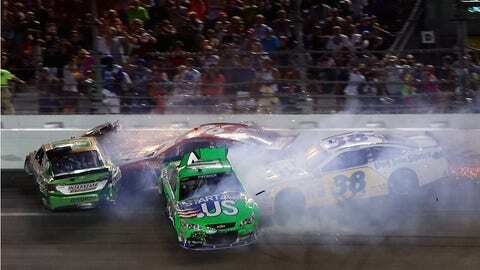 Who was the biggest wrecker of the 2013 NASCAR season? While Kyle Busch and Marcos Ambrose came in a close second, the top honor goes to Jeff Burton and the No. 31 Caterpillar/Cheerios Chevrolet. Take a look at the top 10 … okay, top 11 … wreckers of the ’13 season.